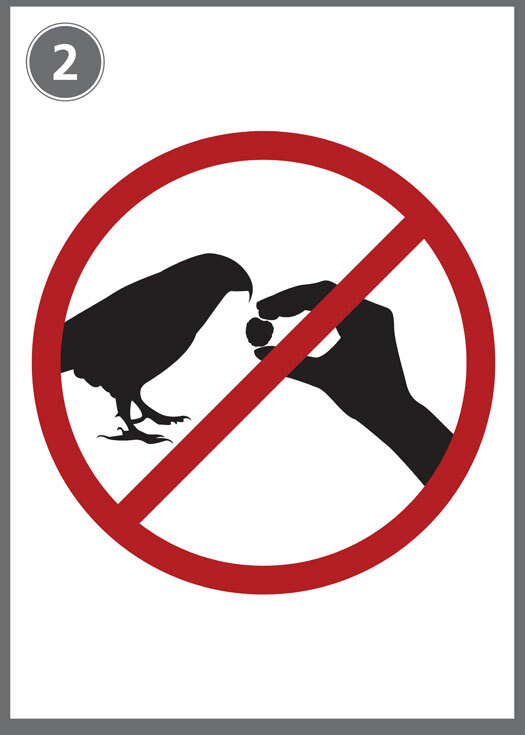 Kea conundrums – one sign does not fit all! Which sign do you like best? We asked this question – and you answered! Within three days of putting an online questionnaire on the DOC website, 150 of you had filled it out! 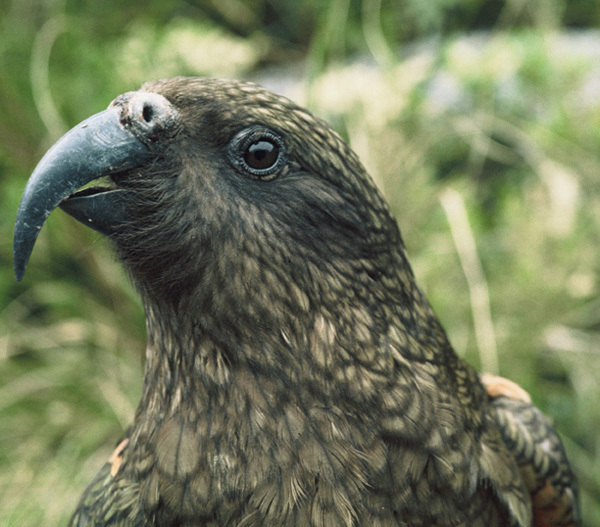 And more are coming in every day, which tells me kiwis do care for kea and want to help this loveable clown of the mountains. Look at those eyes - how can you say no? DOC and others have struggled for years with the issue of people feeding kea. We’ve put up signs and posters in every mountain town where people and kea meet. 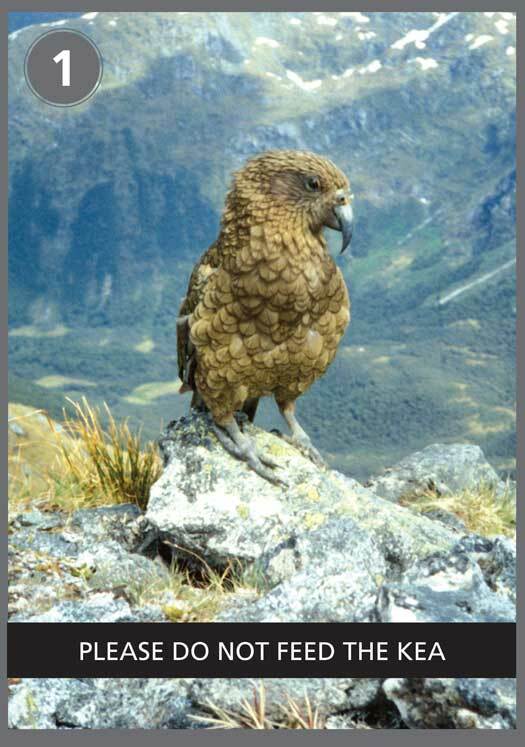 We’ve produced pamphlets and written articles for magazines and papers, highlighting the plight of kea. We’ve given talks and worked with schools. And yet people still feed them. I mean, it’s hard not to when they ask so nicely! They hop up towards you, with their head tilted to the side, their intelligent eyes flicking between your face and your sandwich… they are so engaging you want to take their photo but they stay just out of reach… until you break off a small scrap and hold it out towards them… click a great shot! There’s been research done about visitor behaviour around wild animals (seals and dingoes are two examples) that says that signs don’t really work. We thought we’d try our own experiment with kea. Which message works for you? We challenged University of Otago design students to test some of the common elements that appear in these sorts of signs. Photos, symbols or cartoons? Polite plea or funny consequences? Words or no words? And then we asked you what you thought worked best … and this is what you said. 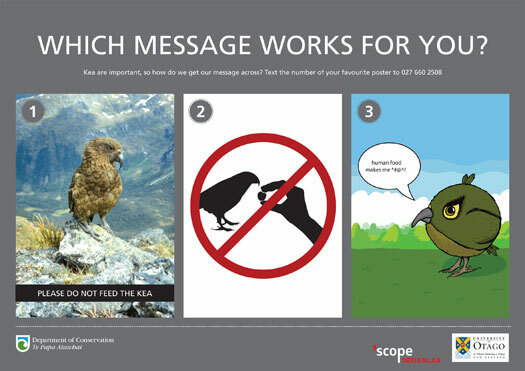 Kea poster two was the clear favourite; 67% of you said it was the most clear; 53% voted it the most likely to catch your eye; and 65% said it was the one you were most likely to obey. The reasons given were all pretty similar: “it’s simple”, “it looks official”, “it’s a universally understand symbol”, “It’s a clear DO NOT sign”. OK that all seems pretty sensible. But it’s not the full picture. Kea poster one scored high for aesthetic values! A lot of you also really like poster one; in fact on the most likely to catch your eye question, poster one captured 37% of the vote. “It shows a real kea”, “the beauty of bird and mountain makes you want to find out more – read sign”, “striking pose by the kea, draws your attention”, “beautiful photo”, “because it is clearly a kea”. Many of you gave a mixed response to the signs – you liked some elements but not others; and there’s the conundrum – if we can’t make a sign that hits all the right buttons for one person, how can we make one that suits many! There were heaps more really great comments which I can’t include in one short blog. But they were all really helpful to build up a better picture of why signs are actually really hard to get right! The questionnaire is still online and will be until the end of April so if you’d like to add your two cents worth go to it! The results will be formally written up after that – feel free to contact me if you’d like a copy!